Belvoir Bees kwik cricket returns to Melton and the Vale of Belvoir next week with the addition of a new venue in Asfordby. 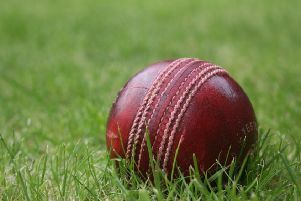 The sessions, run by the Belvoir Cricket and Countryside Trust, are aimed at boys and girls aged six to 11, offering 90 minutes of quality coaching each week. New for 2016 are sessions at Asfordby Parish Hall every Tuesday. The Bees return to both Great Dalby Cricket Ground and Hose Village Hall on Wednesdays, and to Belvoir Cricket Club, Knipton, on Fridays. All sessions run from 6pm to 7.30pm, and Knipton also includes a session for children aged four and five. The first session for newcomers is free as a taster and there is no need to book, just turn up on the night and register. * For more information about the Trust visit www.bcctrust.org.uk or follow it on Facebook and Twitter.